OVER A TENTH of children aged 6-11 years have not attended primary school while four in 10 aged 12-15 years have not attended secondary school for the last five school years, the National Statistical Coordination Board (NSCB) said, a condition attributed by an economist to poverty. "Regardless of the disagreement of some people on this program claiming that this would just degrade the current quandary of educational system in the country, the six division superintendents stood with conviction that problems on the shortage of classrooms, insufficiency of books and school facilities have been age-old problems in most schools — so whether to implement K to 12 or not, these problems would still be present." The statement from Pangasinan DepEd officials simply reiterates the fact that K to 12 is not really targeting "education for all". 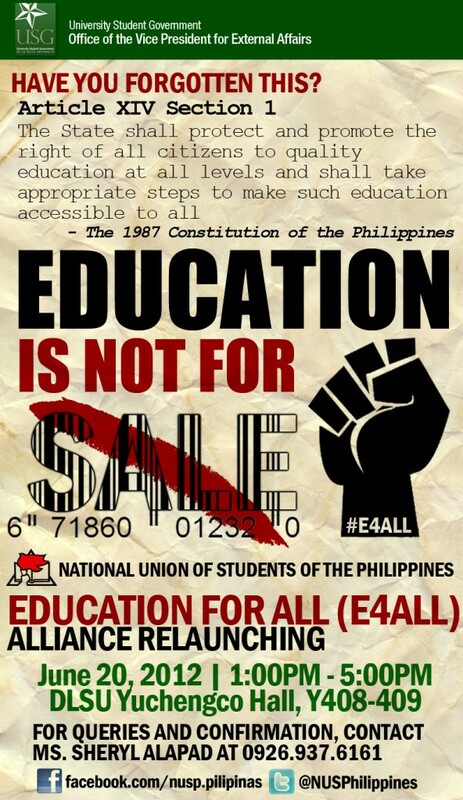 K to 12 does not address the real problems Philippine basic education faces. And DepEd has not really taken into account what K to 12 really demands in terms of resources. For this reason, DepEd does not see how K to 12 stretches limited and lacking resources. Kindergarten, the year that has already been added, provides a glimpse of how much resources are needed. It demonstrates how ill equipped the country is, with regard to providing this additional year before elementary schooling. The shortage in classrooms and teachers was exacerbated by the addition of kindergarten. Volunteers (not teachers) are paid 3000 pesos a month to teach kindergarten. Some first grade school teachers are teaching kindergarten - these teachers get an additional 3000 pesos a month. The government may be getting a good deal for the services required for kindergarten but the quality of the service is questionable. Kindergarten, if taken correctly and seriously, is not a simple appendix to basic education. In developed countries, kindergarten usually has the lowest pupil:teacher ratio. A class of 15 kindergarten pupils usually has one head teacher and an assistant teacher. Using this ratio alone illustrates how poorly DepEd is implementing kindergarten and this does not even address yet the qualifications of the kindergarten teacher as well as the quality of the curriculum, facilities and materials. 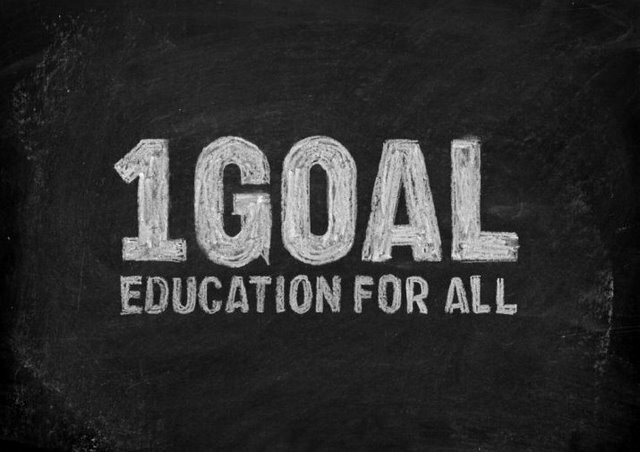 "Education for All" is a goal of basic education. Basic education is compulsory in developed countries. With these in mind, it is clear that society views basic education as necessary. Basic education is therefore viewed as a right, not as a privilege. Basic education is regarded as a duty, an obligation. Yet, in elementary schools, pupils who are just entering Grade 1 are taking an exam called "School Readiness Assessment". There are 45 questions in the exam and the passing score is 36 correctly answered. The students who passed are then taken to the next test, a qualifying exam administered by the education program supervisor in science. And only if 35 pupils pass these exams, would the school have a special science class for these selected students. This is not "Education for All". Why are we doing this to our six year old children? It goes straight against what basic education is. Equity is key in basic education. Can we imagine doing this for character education? That is, requiring students to pass a qualifying exam at the beginning to see if they can be taught right from wrong. How about mathematics? The answer, of course, is no. It is then clear that science is not viewed as a basic field of education. On the other hand, as Catholics, we are quick to tell our children about the mystery of three persons in one God. Children need not take a qualifying exam to hear this lesson. It is higher education that is not basic. Bachelors, Masters and Doctorates are not for everyone. It is at these levels that qualifying exams are crucial. It is at these levels that good accreditation rules and procedures are necessary. Doctorate degrees are to be awarded only to those who have made a significant contribution to the advancement of one's field. It is college education that needs to match the global standards set by international standards. Mastery of subjects is a must especially for those who are being trained to be the future teachers of the nation. Basic Education is different. Being able to reason, relate and represent, what basic education entails, is meant for everyone. "Quality Basic Education for All" should be the goal. DepEd's K to 12 is currently working against this goal. Isabelle Baguisi, secretary general of the National Union of Students of the Philippines (NUSP), pointed to the alarming rate of tuition and miscellaneous fee increases in both private and public schools as one of the reasons for establishing the alliance. The consistently high rate of out-of-school youths is another reason. She also points out the alarming trend in schooling only for employment, without thought to holistic development and nation-building that is education’s true goals. She said the e4all alliance aims to call the government to ‘put its money where its mouth is’ and invest significantly in the education sector. Baguisi points to the lack in basic education budget and the decreasing subsidy of state universities and colleges as prime examples of how the government is ‘insincere’ in developing the education sector. Why is Learning for All the right goal for education worldwide? Join the World Bank as we help developing countries invest early, invest smartly, and invest in learning for all. "by the way, our current system, at least here in agusan del sur, promotes elitism. . . . i just do'nt know if the same is true all throughout the country, kasi dito aside from the "crack section" which, during our days means the class of the best of the best, they also have special science class and math class, and of course the usual basket case lower sections. ang problema, you cannot easily excel in the crack section and in the special science and math class if you do not have the dough to support it. why?. . . because projects being asked from student in those sections are costly and beyond the ability of any poor students, no matter how intelligent they may be. kaya who ends up in the honor roll looks like the list of the who's who in the locality. the worse, teachers and school administrators wont accept but students openly cry against this, most teachers are not that keen on holding classes for lower section students, as if to who that they are hopeless cases not worthy of the effort. kaya ang nangyayari, kung sino yung talagang kailangang turuan, yun ang pinapabayaan. . .. guess who, upon graduation from high school, will end up enrolling at Philippine Normal University or the Colllege of Education of a community college? and so the cycle goes on and on. . . will K+12 put an end to that cycle?. .. "